Taking your living space outdoors is the ideal way to create a garden that is useable all year round. Decking provides options for all budgets, lifestyles and design of your garden. One area it is particularly good for is gardens that are uneven. 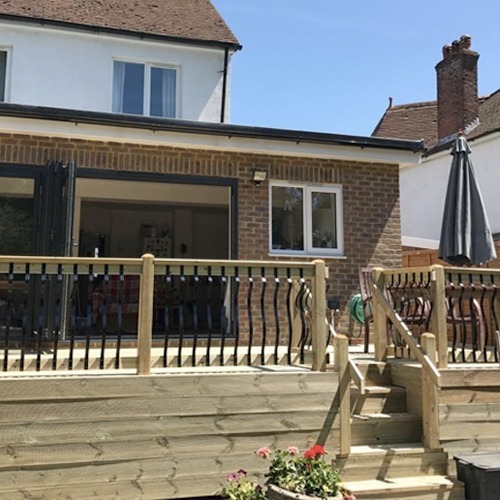 Garden Decking is ideal to level out those slopes as it can be built on split levels with steps which means you can use that area of garden which may currently be underutilised. An ultra-modern look can be created by combining decking with stone. The combination of light coloured stone patio along with dark wood creates a striking contrast which can immediately provide a stunning look to your garden. Add a trellis area or cover to your patio or decking to create a covered space. This could be to help keep the sun off you or just for decoration. Either way, adding a covered decking space can create the perfect al-fresco dining area. 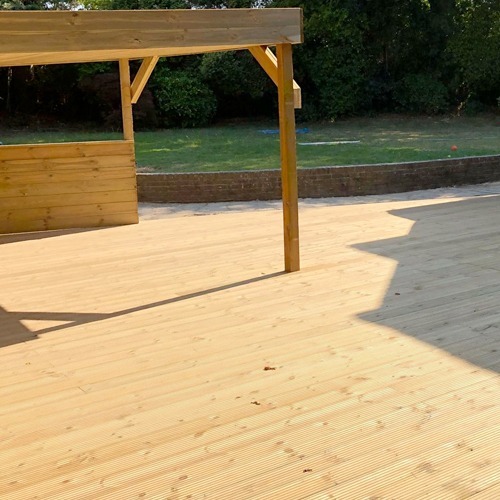 We have a range of decking material we can use including slip resistance decking boards. With various colours of wood stain available, we can match the colour to your personality. 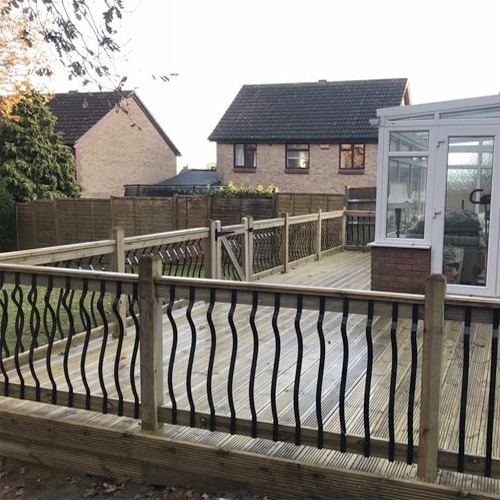 Garden Decking from D&H Fencing can transform your garden and raise the ordinary to the extraordinary.